I drove all the way to downtown Clearwater today to take care of some business at the courthouse, and was so surprised to find an empty parking lot. duh I don't know what I was thinking when I got sent on that errand, but I had a nice drive. It rained on and off, but it's always enjoyable to be able to view Tampa Bay driving across the Courtney Campbell ? I think that's the name of it. (US 60) The rain didn't stop all the people from wading in the water and doing some fishing from shore. And there was a lot of traffic and closed off streets for the Veterans Day Festivities that were going on. My Dad is a Veteran. I have a picture of him in his Army uniform, but I can't find the file I saved it in. My Uncle Don was in the Navy. 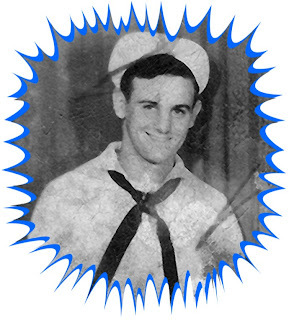 Uncle Rip was in the Navy too. My biological Dad was a WW2 Veteran. Army I can't find a picture of him. God Bless America! God Bless ALL the Men and Women of the Military Past and Present!! Yes, God bless them all and thank you.